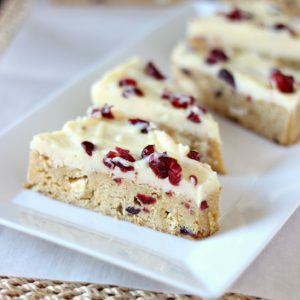 Need a tasty and quick dessert? 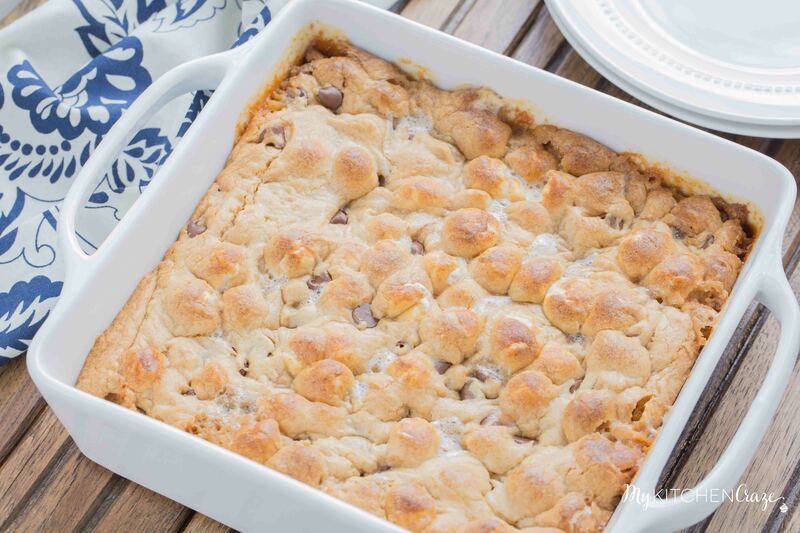 These Marshmallow Blondies are it. 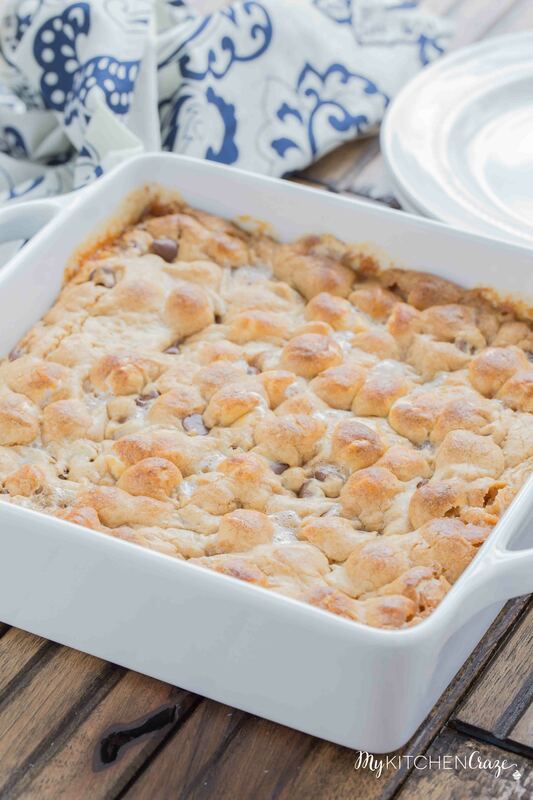 Filled with peanut butter chips, chocolate chips, mini marshmallows, baked to perfection and voila, you have yourself a tasty treat! Man, oh man I’ve had a crazy week. Between things going on with our home back in California, to my car break light turning on, to getting everything in order for the blog next week, life has been one crazy hectic week. By the end of the week I was craving some sweets, but with limited time I need something that was quick and yummy! It’s no secret that I have an obsession for brownies. I love them and can always eat more than one. Give me a glass of milk and some brownies and I’m one very happy girl! 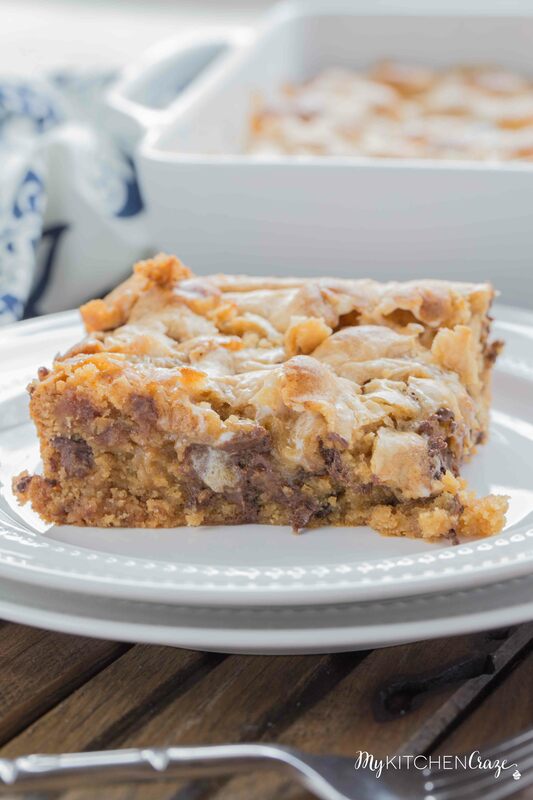 I didn’t know what blondies where until I really started baking a few years ago. Can I just say WOW!! I was totally missing out that’s for sure. 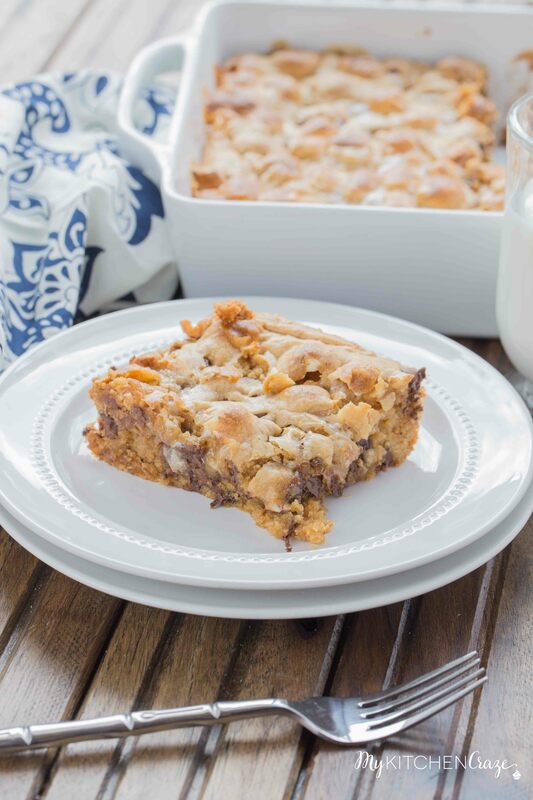 Since I have such a strong love for brownies, it was only natural that I’d fall heads over heels for blondies too. And to think of all the different types of blondie recipes out there that I can make. Makes me giddy with excitement. I’ve made a few here and there over the years, but these were by far the easiest and tastiest! 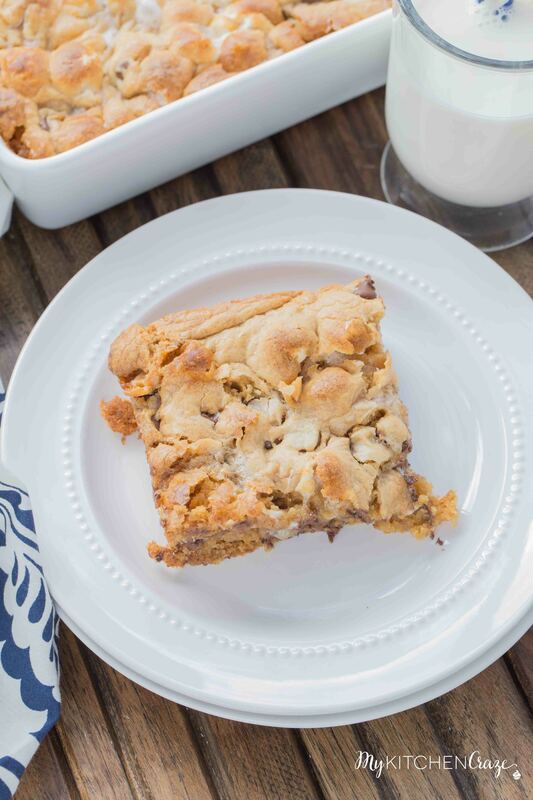 When you’re making blondies you can add anything to them. Chocolate chips, raspberry sauce, marshmallows and coconut are all good options. 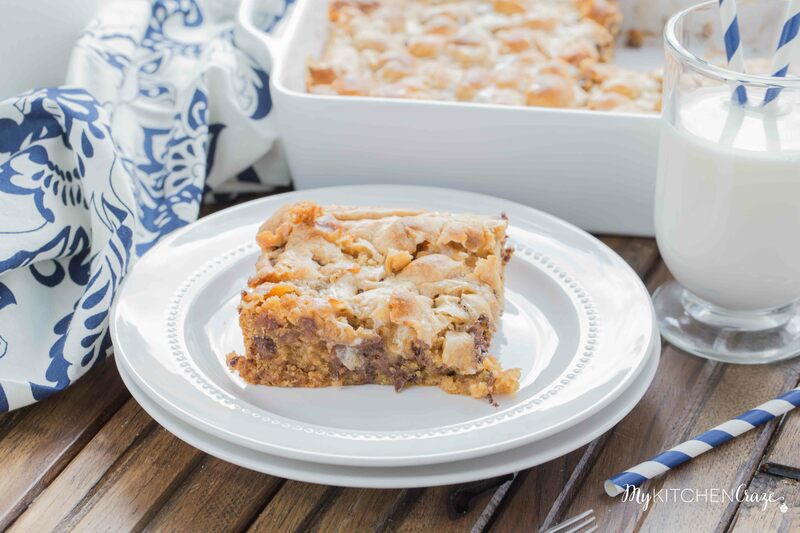 The list is endless and you create all sorts of delicious blondies. 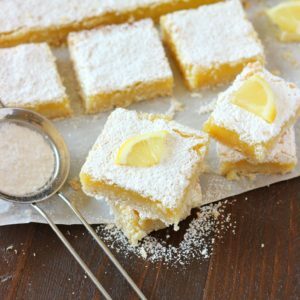 Here are some I’ve made in the past, raspberry blondies and these coconut lemon blondies. 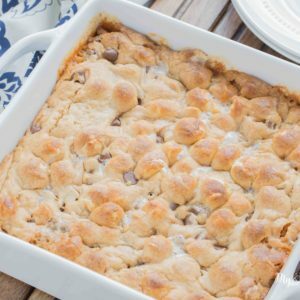 They’re just as tasty as these Marshmallow Blondies, but the day I made these I was in the mood for something ooey gooey and chocolatey. These came together quickly, so if you’re in a rush and need something quick, these are the way to go. Add a big scoop of vanilla ice cream on the side for a little extra oomph! I hope you enjoy them as much as I did! Preheat oven to 350 degrees F. Grease a 9x9 pan with cooking spray; set aside. In a small saucepan, melt the peanut butter chips and butter together over low heat. Stir until smooth. Remove the pan from the heat and let cool for 5-10 minutes. In a large bowl, combine the brown sugar, eggs and vanilla. Stir in melted peanut butter. Add flour, baking powder, and salt. Stir until combined. Stir in the marshmallows and chocolate chips. Bake for about 20 minutes. Remove from oven and let cool completely. I hope everything settles down for you soon, Cyndi! And that’s no fun with car problems, either. 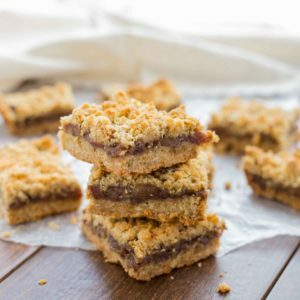 But luckily you have lots of these blondies to help you feel better. I love the idea of a marshmallow version! Looks so easy too, and I LOVE your video! Such a fun treat! Mmm, Cyndi! 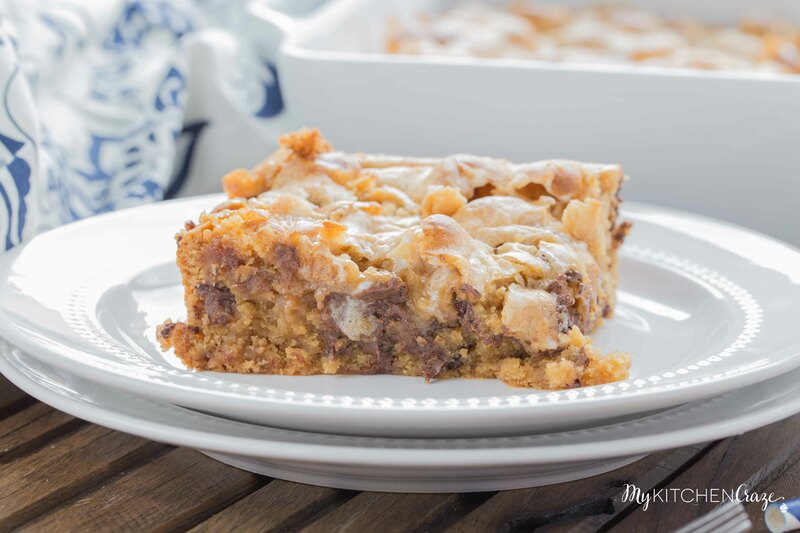 These bars look soooo gooey and delicious. I want to grab one 🙂 so much goodness, girl! That looks like a 9 in square pan? Cyndi, do you use a 9 x 13 pan? Can I use a round dish that is the approx size instead of the square pan? Looks great. I want to make for my daughter’s birthday. She asked for a blondie cake. Thanks for sharing. Hi Suzanne. I’m not sure about the Peanut Butter. I’ve only made this recipe with the peanut butter chips, so I’m not sure how the bars would turn out. Let me know if it works out for you? Good luck.